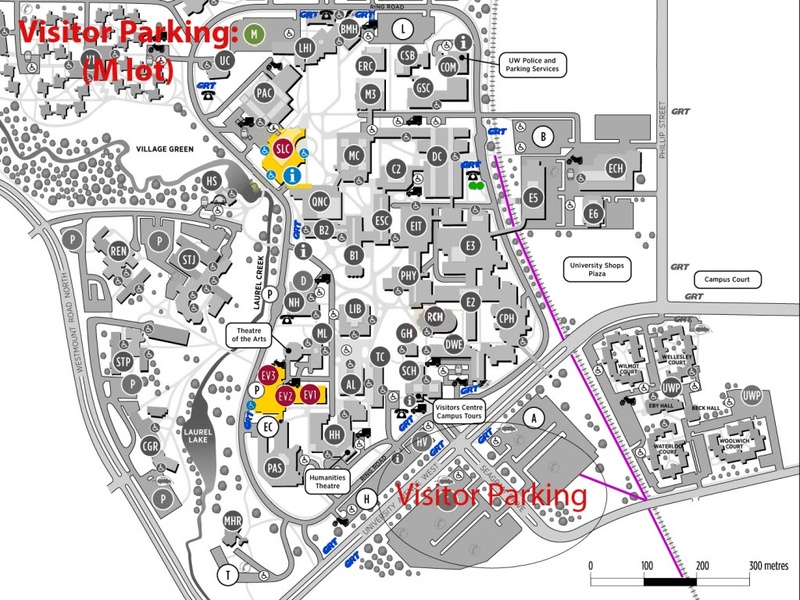 The conference will be happening in Environment 1, 2 and 3 (EV1, EV2, Ev3 highlighted in yellow) at the University of Waterloo. The wheel chair accessible entrance (highlighted in light blue circle) is off of ring road, right near a GRT bus stop (Grand River transit which is the city bus line), as well as near a drop off point. The other highlighted building is the SLC, which is where WPIRG is located, on the Third floor. Highlighted in green is the GO bus stop. See: Public Transit (Out of Town).